Of the many what-ifs of history, this is a big one. In September 1918, Franklin D. Roosevelt -then the Assistant Secretary of the Navy- was carried off the troopship Leviathan by stretcher. He had just inspected U.S. troops in Europe and, either before leaving France or on board the transport, he came down with the Spanish Flu –then sweeping the warring world. Leviathan, a confiscated German ship was converted into a troop carrier during World War I. The largest passenger ship in the world at the time, it was used to transport thousands of troops, many of whom fell sick during the Spanish Flu pandemic. The fifth cousin of the 26th President, Theodore Roosevelt, FDR was taken to his mother’s Manhattan apartment. He had the flu and was deathly ill.
What if… Franklin D. Roosevelt had not survived this bout of the Spanish Flu? Roosevelt did survive. Previously a New York State senator, he returned to politics and was the unsuccessful Democratic candidate for Vice President in 1920. In August 1921, Roosevelt fell ill with what was thought to be polio, which left his legs crippled. (Recently, it has been suggested he might have had a different illness.) Remaining active in Democratic politics, FDR continued his recuperation, learning to walk with the use of braces and a cane. He made sure that he was not seen using a wheelchair in public. Despite this disability, Franklin D. Roosevelt went on to be elected Governor of New York in 1928. After the Great Depression began, he ran for a second term and addressed the economic crisis with relief packages which President Hoover resisted on the national level. In 1932, Roosevelt ran against the incumbent Hoover. With the nation in the depths of the Great Depression crisis, the worst economic downturn in American history. He had promised Americans a “New Deal” and started a series of federal relief programs to get the American economy moving again. Despite the continuing national depression, he was reelected in 1936 by a landslide and again in 1940, becoming the first U.S. President to win a third term in office. By then his attention had turned to foreign affairs and the threat posed in Europe by Hitler and Mussolini and in Asia by Japan. He led the United States into World War II after the attack on Pearl Harbor in December 1941. Born on January 30, 1882, Franklin D. Roosvelt died on April 12, 1945. Here is a chronology of FDR’s life as part of his New York Times obituary. 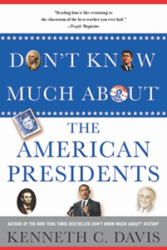 More resources on Roosevelt’s life can be found at his Presidential Library and Museum.